Universum, employer branding company, established the world's Top 50 most attractive employers. 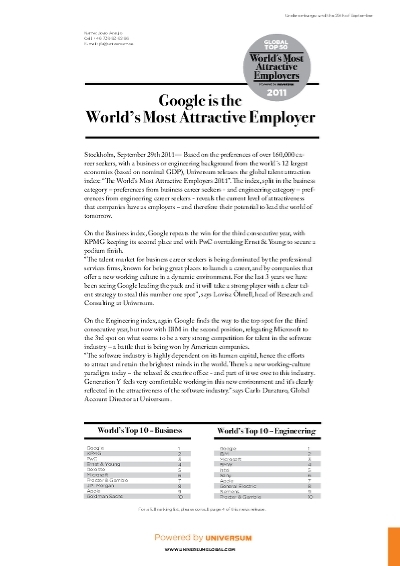 An index of employer attractiveness, companies that excel in talent attraction and retention. The ranking is based on the employer preferences of students at top academic institutions who have chosen their ideal companies to work for.